Keep your children from feeling they have to choose! How parents tell their children about the divorce sets the stage for how the parents will co-parent in the future and has a significant impact on whether the children thrive………no matter what you do legally, both of you will continue to be parents. A great book to help you with this is “Mom’s House Dad’s House” by Isolina Ricci, Ph.D. Telling your children is not easy, but there are some things that you can do to help them with the transition. Have a Plan…..talk with your spouse and prepare to tell your children so you are both on the same page. If you cannot talk with your spouse alone, work with a mediator or a therapist to help the two of you plan a dialogue so you can get on the same page and be prepared. Remember, you and your spouse are the adults! Tell the Children Together……this gives the children confidence and lets them know Mom and Dad are both going to be there for them and they do not need to feel divided. 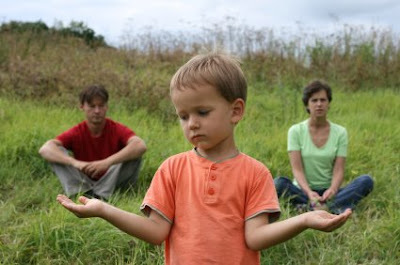 Keep Children Out of Adult Issues……know what you will say, keep blame out of it and stay calm. Your children need to know you are both still going to be there for them, will continue to love them and they do not need to choose who is the “good” parent and who is the “bad” parent, it is ok to keep loving both parents. Provide a Plan …….let them know where everyone is going to live and when they will be with each of you. Be Prepared……children will have questions. Be open and provide honest clear answers, but keep the accusations and adult issues out of it. Reassure Them…..Let them know you both love them and they are not in any way the cause of the divorce. Nancy Hudgins, a San Francisco mediator and lawyer, began specializing in civil litigation in the 1970's. She has represented both plaintiffs and defendants, chiefly in personal injury, medical malpractice, elder abuse and product liability lawsuits, but also in a wide variety of complex litigation, including civil rights, fraud and class actions. She has settled and mediated thousands of cases. In addition to civil litigation mediation, she also co-mediates divorces with John Duda, a marriage and family therapist. Debra Synovec, a Seattle-based mediator and lawyer, has mediated divorces for 20 years. She believes in empowering the parties to reach their own resolution.